loveit coverit, one of the market’s leading specialist mobile phone and gadget insurers, recently picked up the Trusted Service Award for a second year running, as a result of consistently high customer reviews. Feefo works with over 4,000 brands, collecting ratings and reviews from verified customers, to help businesses make better decisions and deliver exceptional service. The Trusted Service Award is a recognised symbol of trust, and only awarded to businesses who provide the best experience for their customers. 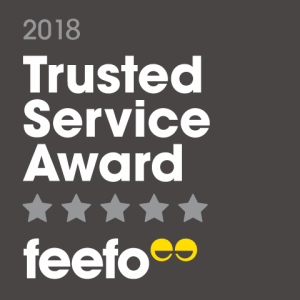 To receive the Trusted Service 2018 award, a business must have collected at least 50 reviews between January 1st 2017 and December 31st 2017, and achieved a Feefo service rating of between 4.0 and 4.4. Feefo collect ratings and reviews from only verified customers, so consumers and businesses can be assured they are always genuine. Authorised and regulated by the Financial Conduct Authority, loveit coverit are a trading name of Pier Insurance Managed Services. Providing mobile phone and gadget insurance for almost 30 years, the company has insured over over 900,000 devices to-date and all claims are handled by their UK based, in-house team.